Alia Bhatt shared a sneak peek of upcoming song ‘Tabaah Ho Gaye’ from ‘Kalank’ , which features Madhuri Dixit as Bahaar Begum. 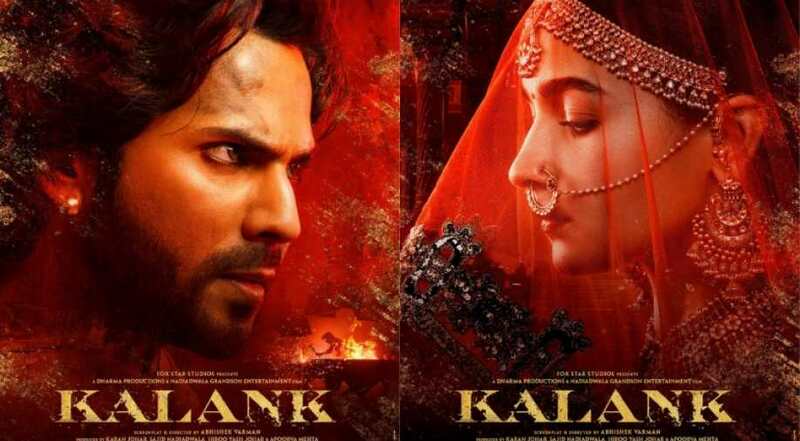 Feeding on the ever-growing anticipation of fans, the makers of ‘Kalank’ are unveiling one song at a time to keep the fans engaged until the film hits the theatres. “Make way for ‘Tabaah Ho Gaye’! Out tomorrow,” she captioned the post. In the video, Madhuri is seen dressed in a gorgeous orange Anarkali suit with a golden pink shawl wrapped draped around her, a stark resemblance to the character of Chandramukhi in 2002 romantic flick ‘Devdas’. As soon as she reaches the centre of the room, which seems similar to the one in which Alia Bhatt entered in the song ‘Ghar More Pardesiya’, Madhuri takes off her shawl and the pain in her eyes is palpable. Earlier today, Producer Karan Johar, Alia Bhatt and Madhuri shared a still from the upcoming song, which instantly reminded us of Madhuri’s hit song ‘Maar Dala’ from ‘Devdas’. As per media reports, Madhuri replaced Sridevi in the film. Madhuri was roped in after Sridevi’s death last year. Alia Bhatt: Working In Kalank Is Double Fun For Me Video Of Alia Bhatt Singing Ranbir Kapoor’s Most Romantic Song Goes Viral Ranbir Kapoor, Priyanka Chopra, Alia Bhatt, Shahid Kapoor to perform at IIFA 2018? Alia Bhatt and Ranbir Kapoor to tie the knot in 2020?